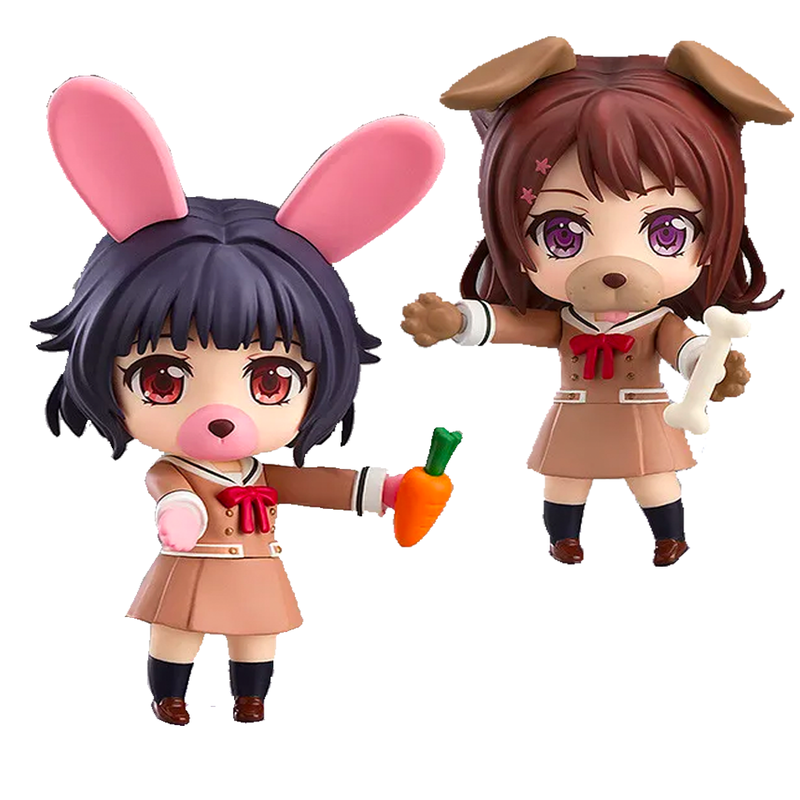 The Nendoroid figure series by Good Smile Company is one of the most popular figure lines with otaku due to their irresistible cuteness and potential for customizability. A standard Nendoroid figure is fully articulated and usually comes with several interchangeable faceplates and accessories. Even with all these included parts, do you ever feel like you want to take your Nendoroid collection even further? 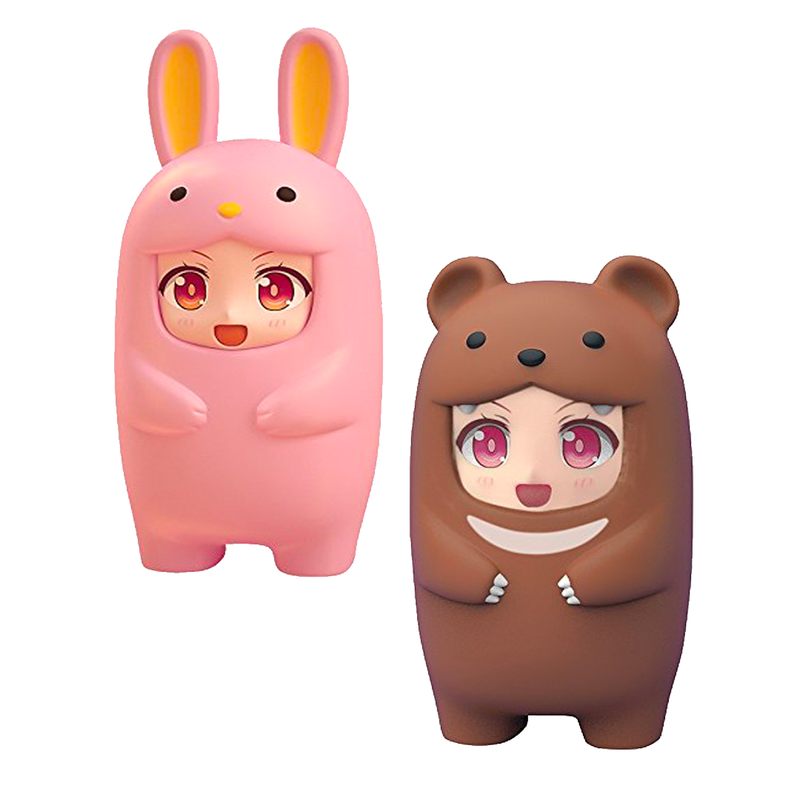 From making your favorite characters transform into adorable animals to adding to your Nendoroid’s expression collection, Nendoroid More has you covered. Read on to see our top picks of Nendoroid More’s ever-growing collection of Nendoroid accessories! One of the most popular features of Nendoroids are the interchangeable face plates with different expressions that come with every figure. 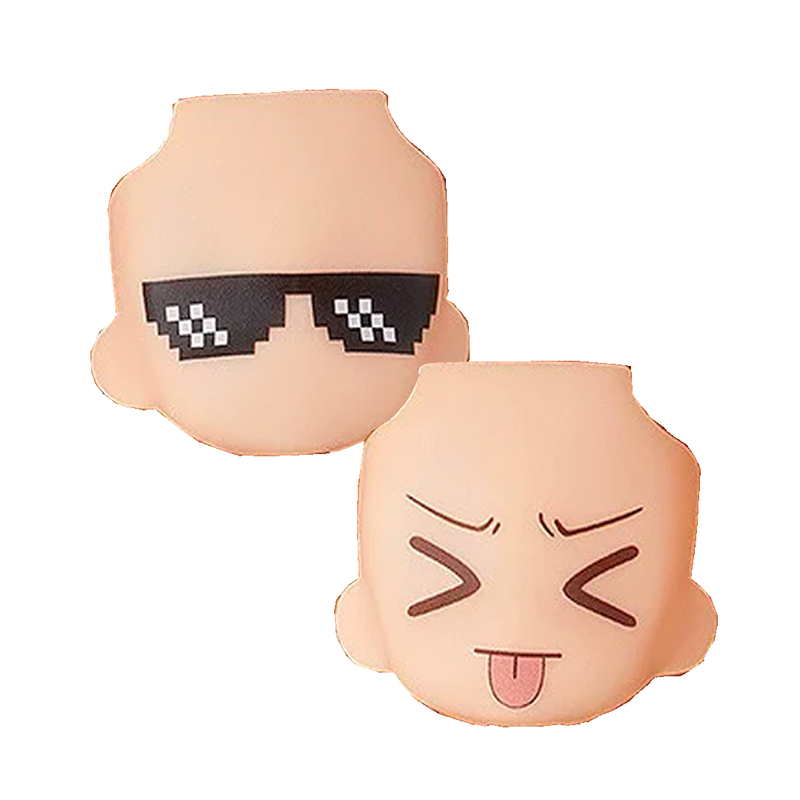 But if you want to take your Nendoroid’s emoting skills to the next level, then look no further than Face Swap from Nendoroid More! There have been four sets of Face Swap parts released to date, with faces depicting every conceivable expression and even some non-human varieties. Some popular manga artists have lent their skills to some Face Swap designs, including AC-bu, the creators of Pop Team Epic! The After Parts in Nendoroid More makes your Nendoroids even more fun, with ever-expanding possibilities for customizing your Nendoroid display. 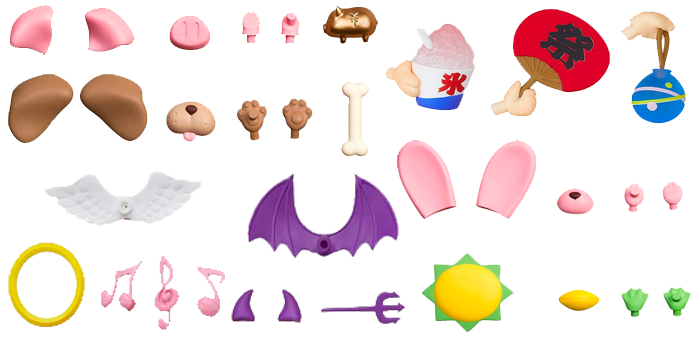 There have been five releases in the After Parts series, including festival favorites, cat and bunny cosplays, and even speech bubble fixtures. Making adorable photo-opportunities with your favorite Nendoroid characters has never been easier with the After Parts collection! Are your Nendoroids stylish dressers? 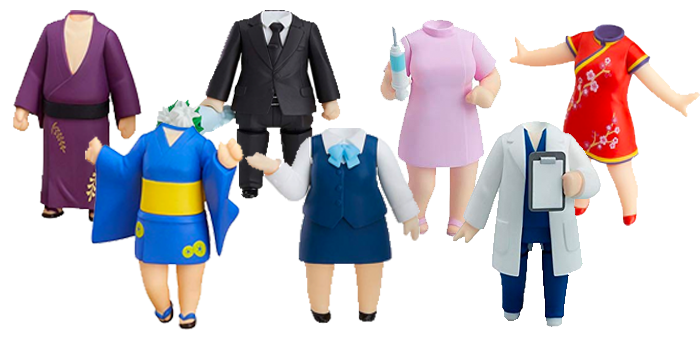 Get them up to scratch with the interchangeable bodies from the Nendoroid More Dress Up series! 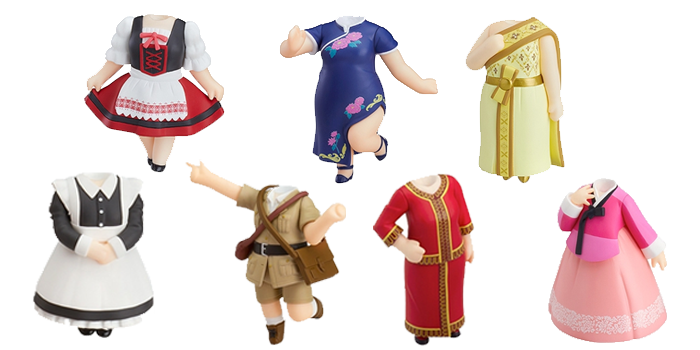 With countless trendy outfits ranging from suits to yukata, let your Nendoroids to express their passion for fashion with the Nendoroid More Dress Up series! 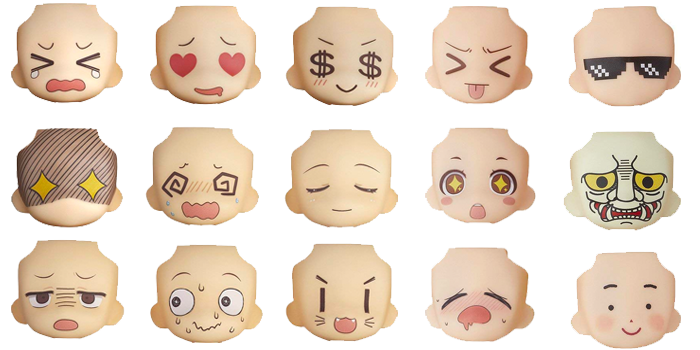 These Face Parts Cases from Nendoroid More can store up to two spare expression parts and look super-cute while doing so. Alongside the adorable animal Face Parts Cases, popular series such as Pokemon and Touken Ranbu have also lent their designs to the line. Even spare parts can be displayed in the most adorable way thanks to Nendoroid More’s Face Parts Cases! From the popular anime and mobile game series Love Live! Sunshine comes this adorable addition to the popular Dress Up series from Nendoroid More. 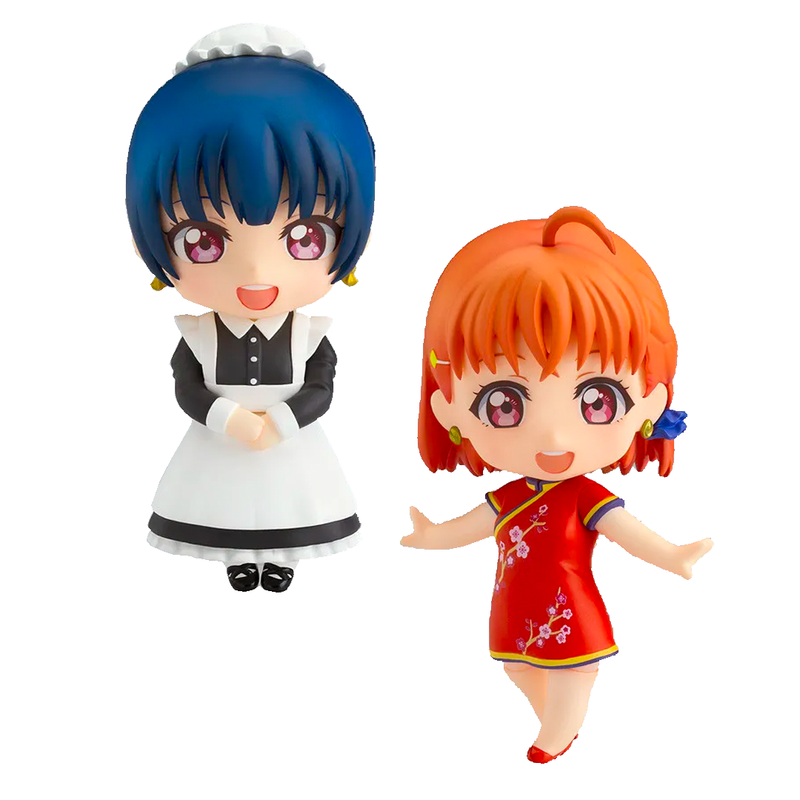 In this collection, dress up your Aqours Nendoroids in traditional costumes from countries as voted for by fans! Two volumes of this collaboration were released, with costumes representing the countries Germany, Taiwan, Australia, Singapore, China, the UK, Thailand, America, and Korea. 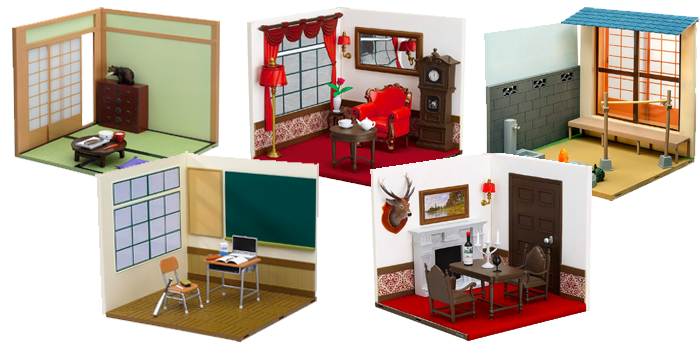 While not in the main Nendoroid More product line, the Nendoroid Playset series can take your Nendoroid displays to the next level with these perfectly proportioned sets for your Nendoroids to enjoy. 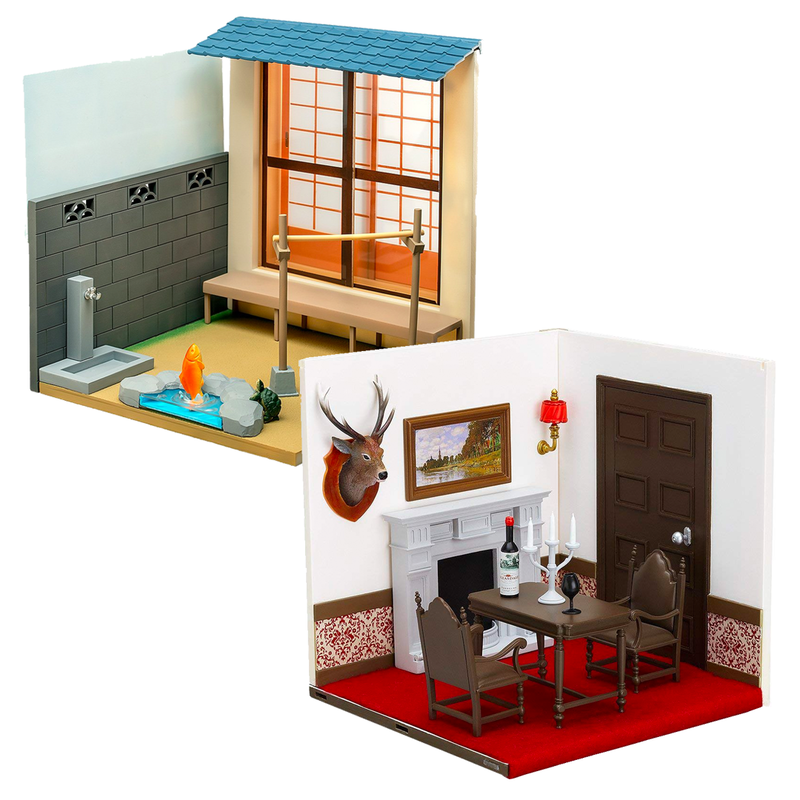 There are currently six Playsets in this series featuring traditional Japanese rooms, nostalgia-inducing classrooms, and Western-style dining rooms. 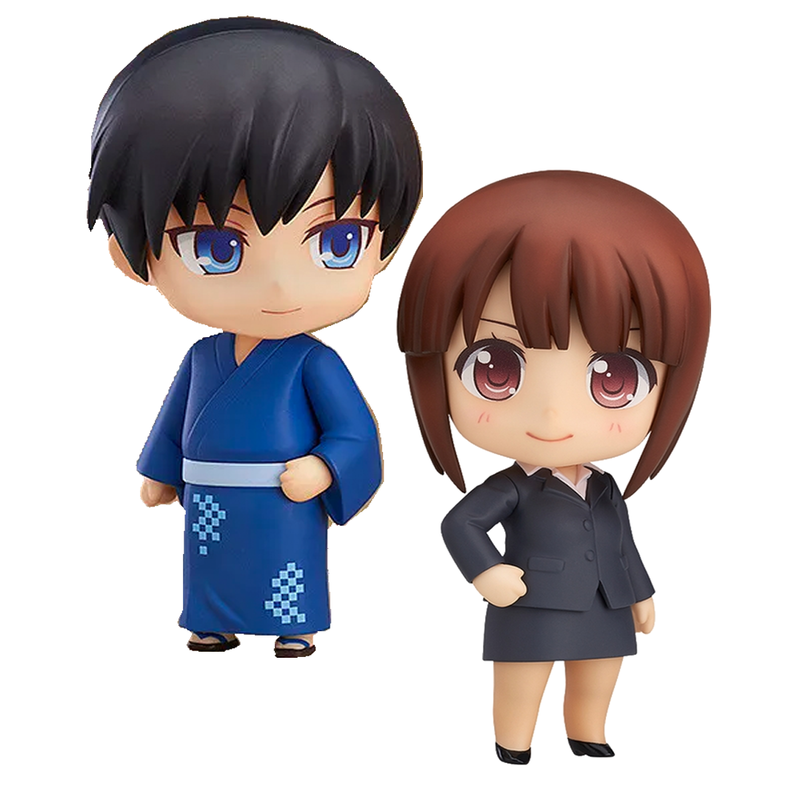 If you want some more Nendo-action then check out our Nendoroid vs Funko Pop! video on the official FROM JAPAN Youtube Channel. Search Nendoroid More on FROM JAPAN!